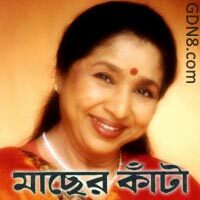 Macher Kata bangla Song Lyrics Originaly This Song Is Sung by Asha Bhosle. Remake Version Sung By Mita Chatterjee And Jojo. Music Composed By Rahul Dev Burman. Lyrics By Gauriprasanna Mazumder. Bujhlen ki kotha ta ?